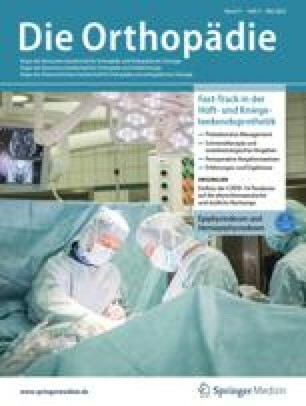 Die Fortschritte der Schulterarthroskopie sowie das verbesserte Verständnis von Schulteranatomie und Biomechanik haben zur Entdeckung von früher nicht diagnostizierten Verletzungen des oberen Labrums und des Bizepssehnenankers geführt. Obwohl Anamnese und klinische Untersuchung sowie erweiterte radiologische Abklärung (z. B. Magnetresonanzarthrographie) sehr wichtig zur definitiven Diagnosestellung der SLAP-Läsion ("Superior Labrum Anterior and Posterior") sind, ist die diagnostische Arthroskopie ausschlaggebend. Die Behandlung ist vom Grad der SLAP-Läsion abhängig. Im Allgemeinen werden Typ-I- und -III-SLAP-Läsionen debridiert,dagegen werden Typ-II- und viele Typ-IV-Läsionen mit speziellen Nahttechniken versorgt. Das Ziel dieses Artikels ist es, Anatomie, Klassifikation und Diagnosestellung einer SLAP-Läsion zu besprechen und Behandlungsvorschläge zu machen. The advent of shoulder arthroscopy, as well as our improved understanding of shoulder anatomy and biomechanics, has led to the identification of previously undiagnosed lesions involving the superior labrum and biceps tendon anchor. Although the history and physical examinations as well as improved imaging modalities (i. e. magnetic resonance arthrography) are extremely important in understanding the pathology, the definitive diagnosis of SLAP lesions ("superior labrum anterior and posterior") is accomplished through diagnostic arthroscopy. Treatment of these lesions is directed according to the type of SLAP lesion. In general, type I and III SLAP lesions are debrided, whereas type II and many type IV lesions are repaired. The purpose of this article is to review the anatomy, classification, diagnosis and current treatment recommendations.